Trident University, located in Cypress, California, is an institution of higher learning that features programs in four areas of study: Information Systems, Health Sciences, Education and Business Administration. Considered a friendly university for both military personnel and working adults, Trident University offers a number of degrees that will assist students in achieving career goals. 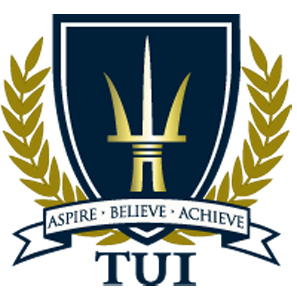 Founded in 1998, Trident University has earned a sterling reputation by placing an emphasis on student development. The school has received global recognition for promoting active engagement as opposed to passive interest in the virtual classroom. By recruiting a first-rate administrative staff, as well as the finest professors in the nation, Trident University hopes to be the next step towards professional success for all its students. To uphold a commitment to educational merit, Trident University hires only the best professors. More than 90% of Trident University faculty have earned a doctorate in their respective fields of expertise. Trident University holds accreditation from the Western Association of Schools and Colleges (WASC). At Trident University, enhanced technology ensures that students have convenient access to educational resources. The distance learning platform combines proven learning strategies with timely resources. As a trusted choice for adult learners, Trident University sets a standard of academic excellence and affordability that is unparalleled. Trident University assists students who have recently served in the Armed Forces by examining how each student’s military background and experience can be applied towards a degree. This allows for Armed Forces veterans of Trident University to complete degrees more quickly and continue forward into the workforce with little interruption. Trident University benefits students in many different stages of academic development. The four colleges of Trident University offer bachelor’s and master’s degrees as well as research Ph.D.’s. The College of Business Administration at Trident University houses four programs: Bachelor of Science in Human Resource Management, Bachelor of Science in Business Administration, Master of Science in Human Resource Management, and Doctor of Philosophy in Business Administration. In the College of Education, Trident University students may pursue a Master of Arts in Education, or a Doctor of Philosophy in Educational Leadership. The Trident University College of Health Science offers a number of degrees, including a Bachelor of Science in Health Sciences. Trident University also offers a Master of Science in Emergency & Disaster Management, Master of Science in Health Care Administration and Master of Science in Health Sciences. A Doctor of Philosophy in Health Sciences is also available. Students in the College of Information Systems at Trident University may choose to pursue a Bachelor of Science in IT Management, Bachelor of Science in Computer Science, or a Master of Science in Information Technology. For learning resources at Trident University, students have unlimited access to an extensive online library of databases, e-books, e-journals and web links. CD-ROMs are also available in certain courses. Trident University schedules eight sessions each year, and all classes are offered online. Students enjoy more flexibility to pursue their education while also balancing work obligations and other life events. Advisors at Trident University can provide information on funding options and payment schedules. No application fee is required.